• Solid White fabric (Kona White) scrap. 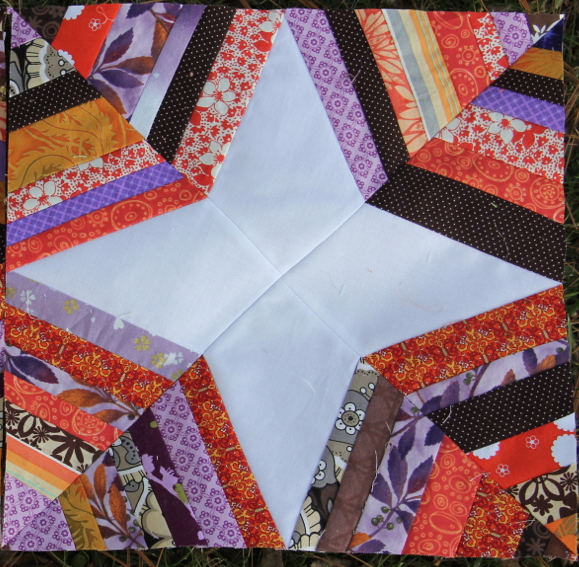 A 4”x19” piece is big enough to get all four white centre kite shapes. 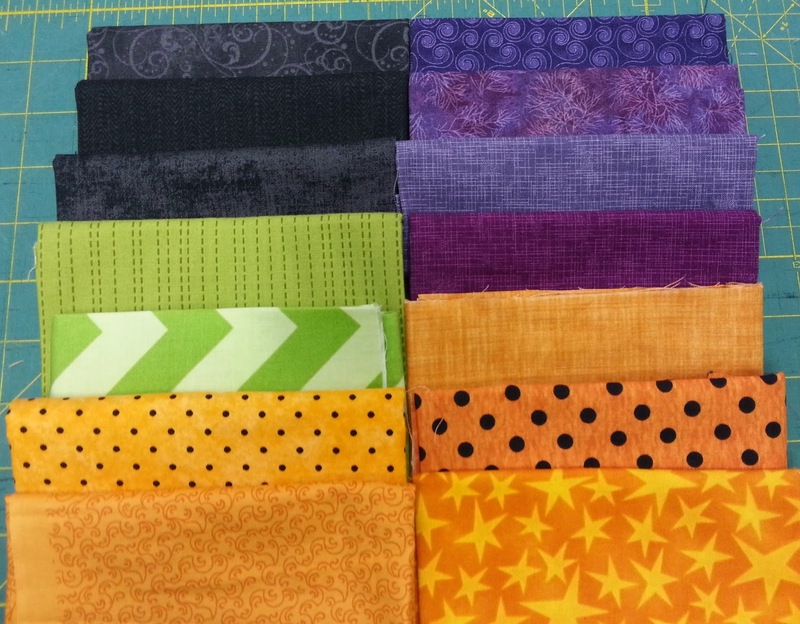 • lots and lots of skinny strips in this month’s colour palette: black, charcoal grey, purple, plum, medium orange, and light bright green. Your longest strips need to be 6 inches long, and between 1” and 2” wide. You will need between 40-65 strips per block, depending on how wide you cut your strips, and how careful you are about placement. 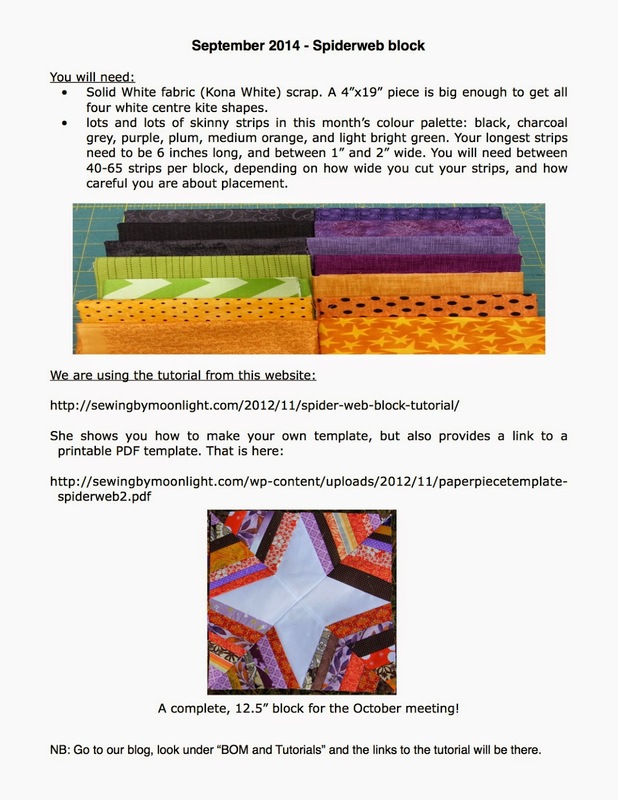 We are using the tutorial from this website: Sewing by Moonlight. It's a very extensive tutorial and she starts by showing you how to make your own template. There is also a link to the printable template we showed during the meeting. That link is here. A complete, 12.5” block for the October meeting! The original handout from the meeting. Looks really cool, I've been thinking about making a spider quilt for a while. Looking forward to seeing you all in November.